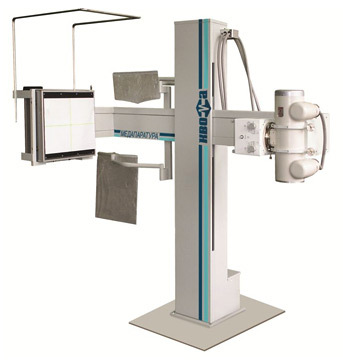 Fluorograph (X-ray system for chest) FDIP-12 (11) by «KUFP «Medaparatura» is an X-ray system for screening radiographic researches of thoracic organs (supplied without cabin -12 (11)). Usability of the patient's research caused of the stand construction without cabin. Patient and staff safety provides by stationery protection.